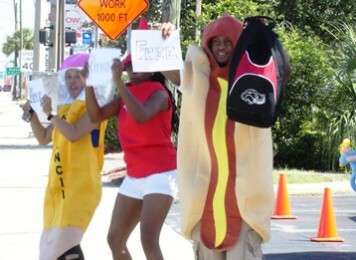 DIRECTIONS: Two blocks south of Kennedy at the corner of S. Dale Mabry and Horatio. Next to Pizza Hut. 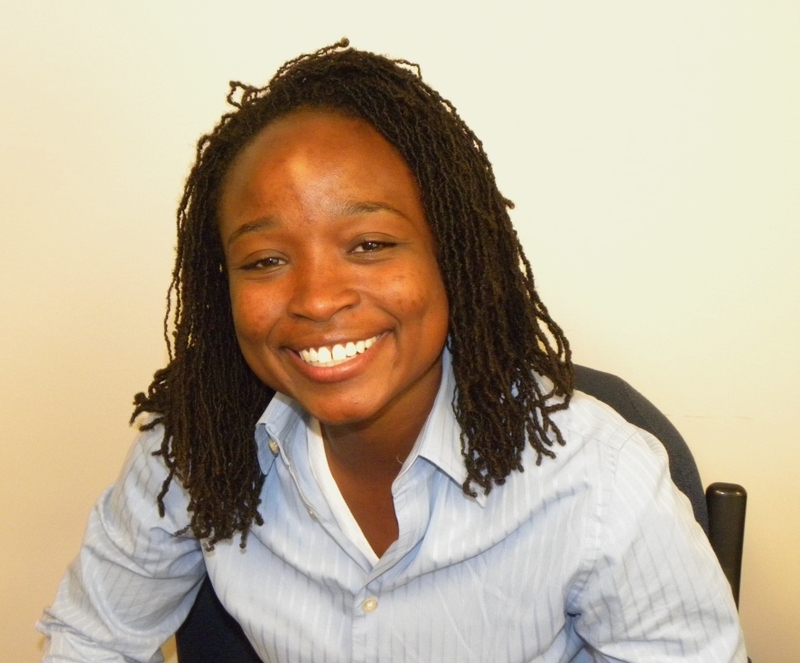 Ashley Butler began ownership in 2006. Initially starting at a smaller location, Ashley quickly realized that customer service is the key to growing a business and moved to a larger location. She is a Tampa native and a graduate of USF. She keeps very active with poker, golf, cycling, dragon boat racing, and public speaking to local youth. Always searching for a thrill, she has experienced skydiving and canyoneering in California but truly enjoys traveling and meeting other people in those locations. 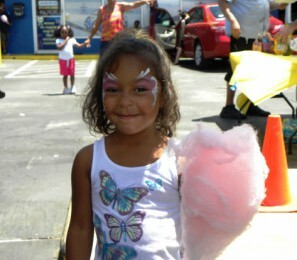 Ashley has been featured in several news articles and radio programs – visit the News page to learn more. Everyone there was great. Did their job – moved on to next. Good to see that. Got it done. Saw them explaining jobs good. I was more than satisfied. Personnel very experienced and kind – will be back for services. A/C stopped. They gave me options and I chose the best for me. A/C working again. I was satisfied. Jay is great. I trust Jay & the staff! When they tell me something needs work now, I know that it does. I had made an appointment for an oil change and ended up needing a new water pump. Jay handled the unexpected repair professionally without making me feel like an extra burden on an already busy Friday. Jay’s skills at managing the multiple demands are fantastic. He keeps the excellent team on task. No need to improve in my opinion. I really appreciate all the hard work and help! Tony did my oil change. Very professional & great customer service along with Jay. Thank you. I had to go back to the shop a good few times but in the end I’m happy & car working again. 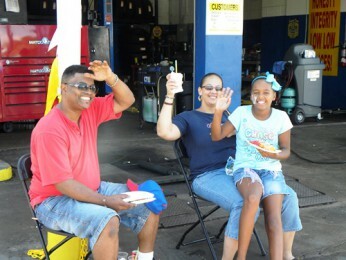 Ashley, Jay & Tony provided excellent customer service. Tony was amazing – great customer service, was willing and able to answer all my questions, awesome person overall! 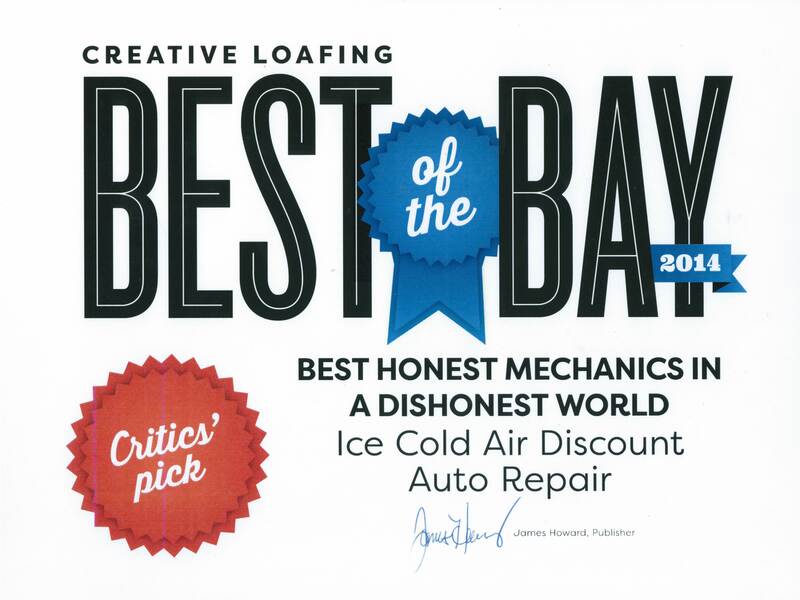 Thank you to Jay & Tony for providing excellent customer service, picking me up & having my car repaired (a/c system) on the same day. 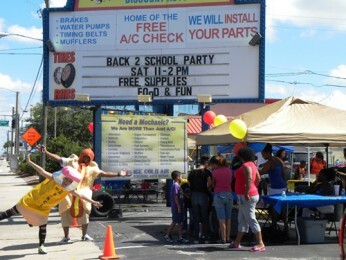 FREE OIL CHANGES FOR KIDS! 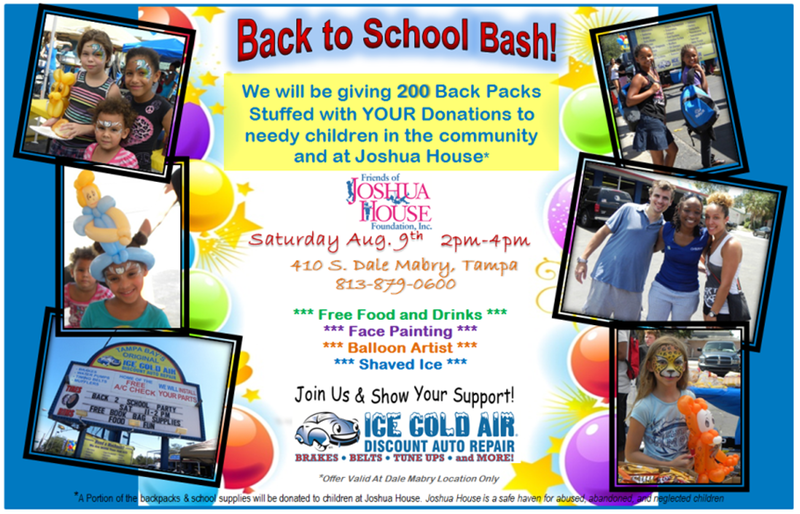 NEED A BACKPACK AND DONATED SUPPLIES? 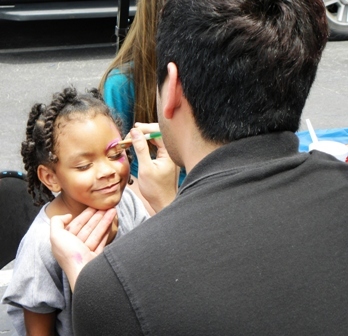 *Joshua House is a safe haven for abused, abandoned, and neglected children, offering a therapeutic residential group care program that provides a protected, nurturing, family-like environment for children six – seventeen. 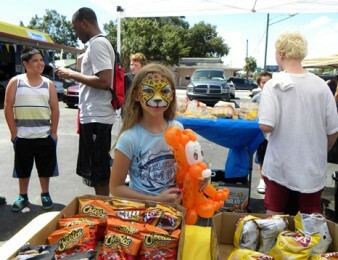 Here are some photos of from last years event! 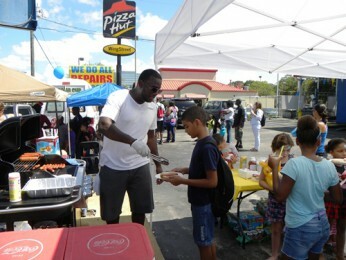 Back to School Donation Drives and Events a SUCCESS! 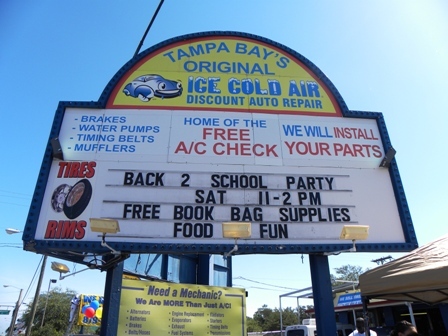 Throughout the month of July, Franchise Owner Ashley Butler (410 S. Dale Mabry) and Franchise Owner Sharon Adams (1180 Court Street) offered FREE Oil Changes and FREE Brakes for donating school supplies. 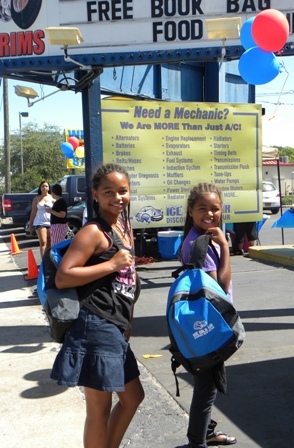 Customers were asked to go to a local store, purchase new school supplies, and donate them to our School Supplies Drive and in return they received a FREE Oil Change or FREE Brakes. We had a wonderful response from our generous customers. 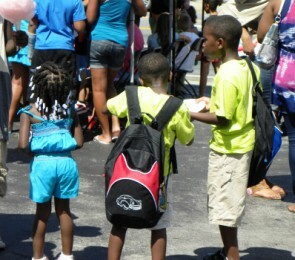 Hundreds of back packs were filled with school supplies and a we donated over $400 to The Homeless Emergency Project * and The Joshua House*. 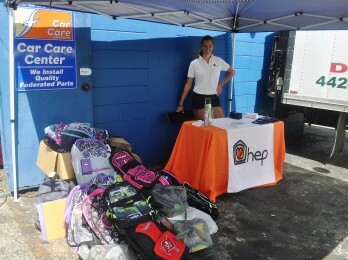 Shop 1180 on Court Street in Clearwater and Shop 410 on South Dale Mabry in Tampa both threw Back to School Events to celebrate successful donation drives. 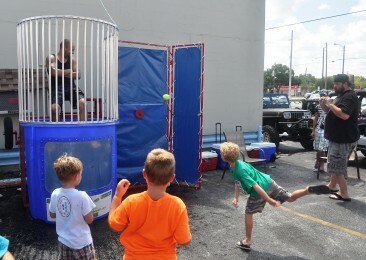 Everyone enjoyed a day of food, raffle prizes, cotton candy, face painting and even a dunk tank (quite refreshing I bet in the summer heat!). 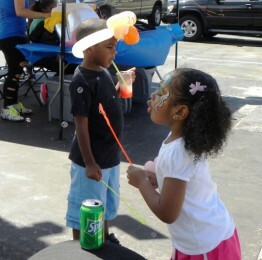 Thank you for making these events a huge success and allowing us to give back to the community. Check out the photos below! 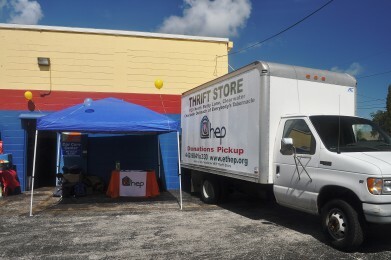 *The Homeless Emergency Project provides homeless and very low-income individuals and families with housing, food, clothing and support services necessary to obtain self-sufficiency and improved quality of life.